Eleven heads bobbed up in unison, leaving posts unliked, candies uncrushed and videos advancing unwatched. The heads then turned to the front of the bus. Synchronized. The toddler had been chirping away unnoticed for blocks and blocks. She was fascinated by everything rushing by, her nose pressed against the big window, her little feet hanging over the bench, her shoulders enclosed by an animal print. She was full of style from toe to top. Starting from her black punk boots that were laced up half-way and working up to the most amazing glasses with a huge square white frame scattered with scores of little flowers, pink, orange, red, yellow, blue on stems of green. She moved with the comfort of a near two-year old who knew in her heart of hearts that she was amazing and fabulous. She must have asked her dad for a car, because he said that he wasn’t buying her one. His response was like a scripted response that was a part of their private joke. A little bit like call and response. She babbled some sweet sounds, one of which resembled the word car. Or maybe cow. Or curl. Or cat. Or yard. But her dad knew. He delivered his line. The little diva nodded vigorously. Her father looked concerned that she might nod the tinkle out. The mom worked the magic of distraction, suggesting the girl sit down and asking a few unrelated questions about school. It seemed to work, or at least the tot stopped talking about needing to go. The dad pulled the cord for the next stop, and the girl leaned over to pull it, too. The mom was on the far side of the bench and shook her head. “Just let her pull it, okay?” She was working hard to avoid a morning meltdown. The dad leaned forward to make room for the girl to grab the yellow plastic coated wire behind him. 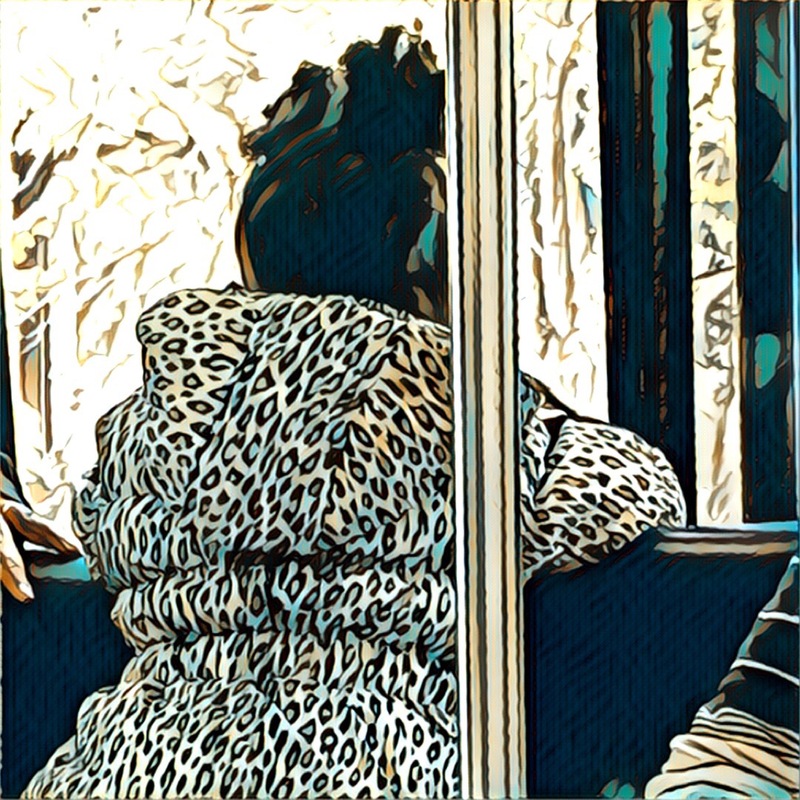 The bus lurched and the girl held on tight. Since he had already called for a stop, there wasn’t a beep when she pulled. He adroitly pointed to the Stop Requested light above her head. She was convinced that she had effected that. Her dad picked up her and his backpacks then took her by the hand. Her mom told her she loved her and would see her soon. The girl parroted back the words–or her interpretation and execution of those words–in her little squeaky sing song. Kisses were exchanged and there was no peeing on the bus. Ten heads returned to the phones in their hands. One followed the pair off the bus and watched them approach the daycare. That one decided to enjoy the bus like a two year old and left her phone in her bag. She turned her head to the window to watch the cars and look for cows.